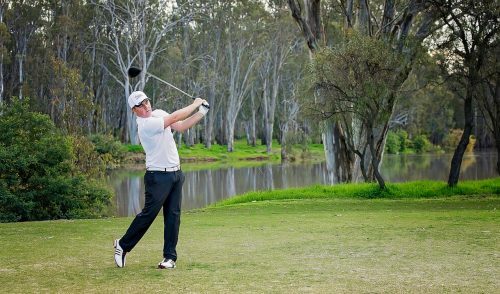 LOCALS boast that McLeod Country Golf Club is in the peak of condition and the best it has been for years. In fact, all areas of the club have been greatly improved in its recovery from the 2011 floods and 2012 storms. Members and guests are so impressed with the conditions at McLeod that they are taking to the golf course in droves. “Golf at McLeod is going really well,” said the club’s general manager Aaron Clancy. “The golf course is in such great condition that often visiting players say, ‘wow, we didn’t even know this golf course was here until now’. Clancy said the course condition was a credit to new course superintendent Phil Boag. “Phil has made a massive difference since taking over two years ago and he and his team are doing a fantastic job,” he said. 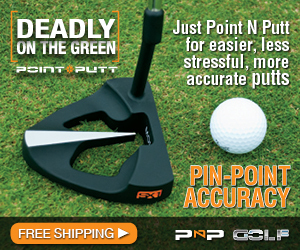 “One if the biggest issues we face is that many golfers don’t know where we are. “Well, let me tell all, McLeod is located in Brisbane’s western, centenary suburbs just 20 minutes from the CBD. We have members from well outside the western suburbs with some even travelling from the Gold Coast. “Our primary focus at McLeod is all about golf and ensuring a great golfing experience for young and old, because that’s what we are – a family focused golf club. McLeod CGC is unique as it is administered by women for the benefit of male and female golfers. It all started in the mid-1960s when Brisbane’s women golfers, tired of access restriction, fought to have a golf course of their own so they too could play golf at weekends and have control over the circumstance under which they played. Kath Atherton, a member at Ashgrove Golf Club at the time, suggested the idea of a women’s golf club – an idea readily supported by businesswoman and fellow Ashgrove associate Hilda Reid. Their ideas gained momentum over pre-Christmas drinks between Ashgrove and Keperra associates. The final trigger for action was when a billiard table was moved into the associates’ room at Ashgrove despite the ladies’ objections. After several years of hard work negotiating with bureaucrats and bankers, in 1968 the vision of establishing a women’s golf club for both men and women players was realised. In September 1969, Joan Fletcher, one of the State’s leading golfers, struck the first ball on the layout at McLeod Country Golf Club at Mt Ommaney. By September 1971, the 18-hole course was complete. Today, with more than 800 members including fellow members, the club is unique in the southern hemisphere as being governed by a board composed of women. “We are run by women, but we are not a women’s club,” Clancy said. “The membership is pretty close to being even when it comes to male and female golfers. “In fact, the men’s contributions to the club are very significant and their continued support is vital in the overall performance of the club. 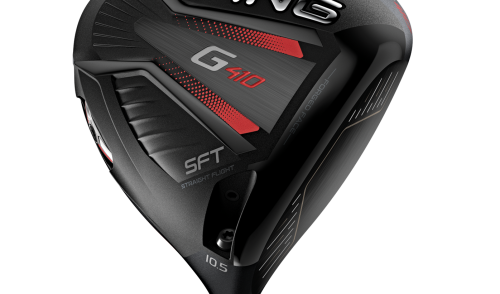 “Social golfer numbers are increasing, which is a healthy trend that has been seen over the last three years. Clancy describes the golf course as picturesque and challenging with plenty of wildlife to keep you company as you chase the birdies. “We have deer on the golf course as well as pelicans on the lakes and lots of other birdlife. Long-time head professional Richard Harris describes the layout as “a traditional parkland golf course”. “The terrain is gently sloping and it has plenty of trees and water,” he said. One of the nice things about McLeod is you don’t do the same thing twice playing the course. “There are no two holes you look at and say, ‘I’ve already played this hole’,” Harris said. The examination starts with the 351m (blue tees) and 294m (red) opening hole. Trees and creeks protect both sides of the fairway meaning a straight drive will keep you out of trouble while the three-tiered green is protected by bunkers left and right. You’ll be happy to walk off with a par on the stroke index 4 hole. McLeod doesn’t have a feature hole, but Harris says the 173m (red tees) and 184m (blue) second hole is a possible contender. It’s a downhill par-3 with bunkers either side of the green, trees to the right and water to the left and behind if you go long. Newcomers looking for an easy birdie opportunity might have to wait until their 10th hole – a par-5 434m (red) and 448m (blue). “The A graders look for birdie here,” Harris said. “A well-struck drive can leave you with a seven-iron in, but miss the drive and it will run off into the trees. The 297m (red) and 370m (blue) par-4 eighth is a formidable hole and rated the hardest hole on the golf course. “There is a water hazard all the way down the left-hand side and then it crosses in front of the green,” Harris said. 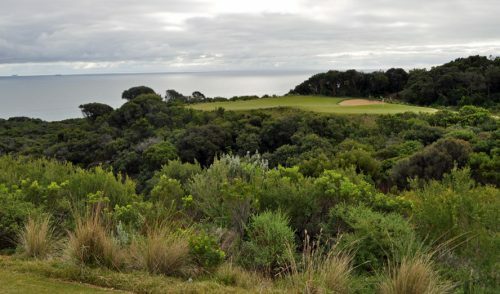 “Once you get to 150m out there is mounding and bush so you can lose a ball as well and the green heavily protected by bunkers. It’s a good hole. “The par- 4 15th (red tees 267m – blue 292m) is a beautiful hole around the lake. You can almost drive the green, but you can also put it in the water. “Water on three sides makes the approach daunting so accuracy is the key. “McLeod is a great layout and golfers coming here for the first time can’t fail to enjoy it. For those who enjoy a warm-up before the game, there is a practice fairway, chipping and putting green and a practice bunker area. The well-stocked pro shop is huge and offers all the latest equipment and training aids. If you are having swing issues, talk to Harris and his friendly staff. The coaching academy programs include junior clinics, group clinics, a beginners club and individual private lessons. 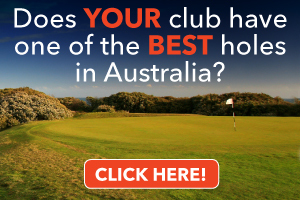 There are several categories of golf membership available to men, women and juniors. McLeod boasts a superbly appointed clubhouse with great vistas of the course and all the facilities and services required. The clubhouse has dedicated function facilities (Westlake Room) for weddings, conferences, seminars and group meetings, which is supported by a bar and range of catering services to accommodate any function, small or large. “You don’t have to be a golfer to enjoy the facilities and camaraderie of the club,” Clancy said. 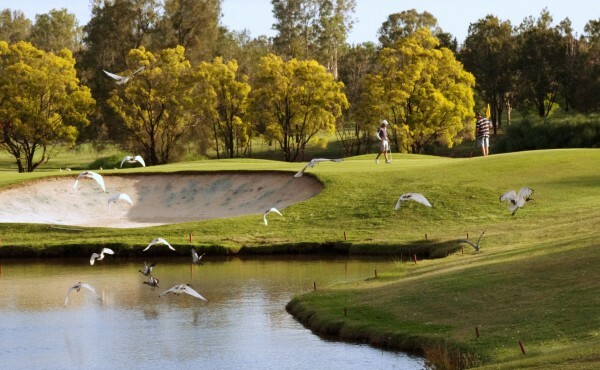 IT’S been a long time between “major” professional tournament drinks for McLeod Country Golf Club, but on January 13, 2015 the Brisbane club will host a $25,000 ALPG Ladies’ pro-am. It will be the first ladies professional tournament in Brisbane in 40 years and 30 years since hosting the Queensland PGA Championship. The club has plenty of big tournament hosting experience. In 2004 and 2010, McLeod hosted the Australian Women’s Interstate Team Matches. The amateur field of ALPG Tour pro-am is open to all male and female and junior golfers with a GA handicap. Therefore, staging a significant women’s pro-am fits the profile of the club. The pro-am is an entrée to what’s planned for 2016. “What we are planning in 2016 is a tier-2 $125,000professional event for ALPG members,” Clancy said. 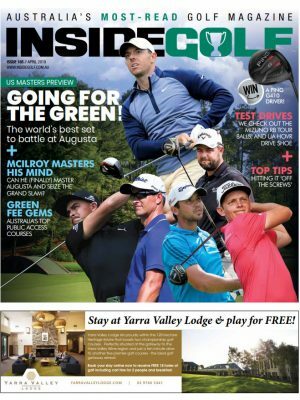 “It will have world ranking points and the event will lead into the Australian Ladies Masters at RACV Royal Pines. “We are working closely with the Australian Ladies’ Professional Golf (ALPG) to establish the tournament. Organisers haven’t yet come up with a name for the tier-2 event. Possible names include The Queensland Ladies Open or the Brisbane Invitational. Clancy said the club was looking at a number of other initiatives to attract younger people to the sport. “We are thinking about a ‘Get Loud at McLeod Day’,” he said. “We want to attract the 18-24 year olds. 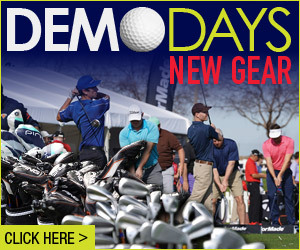 We will have a band playing and people they can rock up in their non-traditional golf gear. “We will set up some bars around the course to try to promote that real fun aspect of the game. “Golf is challenging, competitive and can be serious but if you are not great at it and it’s too challenging it can still be fun. “The Get Loud at McLeod Day, planned for late 2015, will be based solely on having fun. “Yes, we are a traditional golf club that has a challenging course, but we can also change things up to make the game more fun. Big Hole Golf is another initiative on the agenda. “You have to try new initiatives to get people involved in golf,” he said.